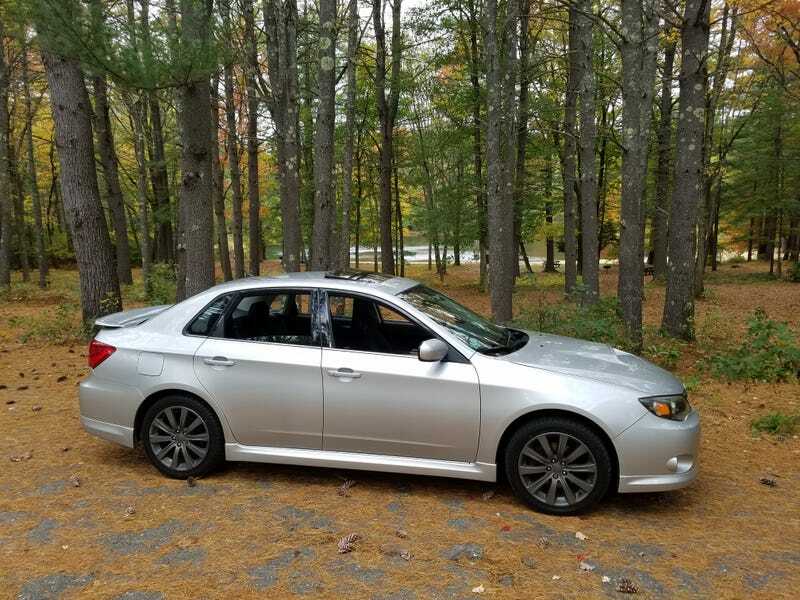 I’ve wanted a turbo Subaru for over a decade, since before I had my license. The WRX is 900lbs lighter than my old Q45 with the same exact horsepower and three pedals, so needless to say this is VERY exciting! It’s been a long time coming. I even saved and swapped in the shift knob from the long gone 2001 Outback I learned to drive stick on as a teenager. Over the past week I’ve been hunting for twisty roads all around MA, VT, and NH. This morning, I’m checking out a few interesting state forest roads. The power delivery, transmission, and handling are all dramatically different from the torquey, slush box laden, 4000LB yacht I’m used to. At 75k miles and only two owners including me, the car still feels fresh and looks fantastic. I’m addicted to boost already and can’t wait for winter, this thing will be a beast with studded snows. The turbo Subaru waves from other WRX drivers are also pretty amusing, I had no idea that was a thing.